You may not know the name Dominique Ansel, but you’ve probably heard of his most famous creation. Dominique Ansel invented the “Cronut”, a cross between a doughnut and a croissant. 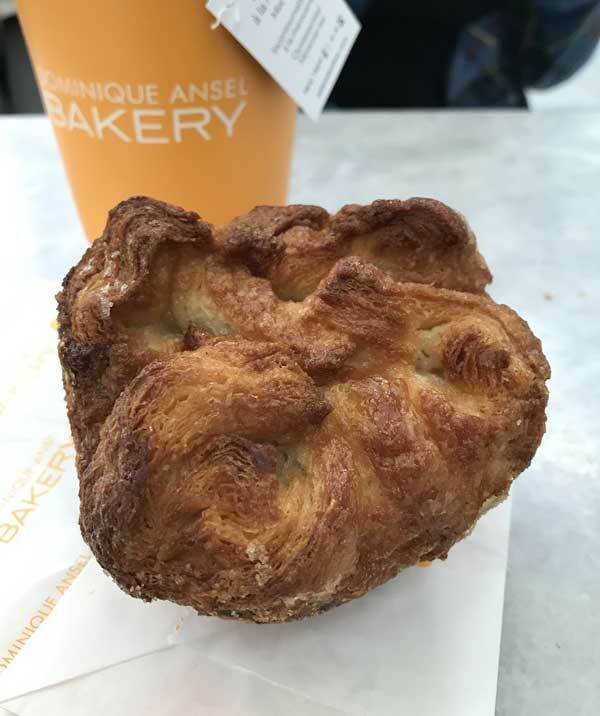 Prior to the Cronut, Ansel was known for The DKA, a flaky, buttery pastry about the size of a muffin. I actually prefer the DKA to the Cronut. Fancy French pastries aside, it recently came to my attention that there is a Dominique Ansel Banana Bread. So even though I have at least 900 other banana bread recipes, I had to try Dominique Ansel’s take on this American favorite. It’s good! 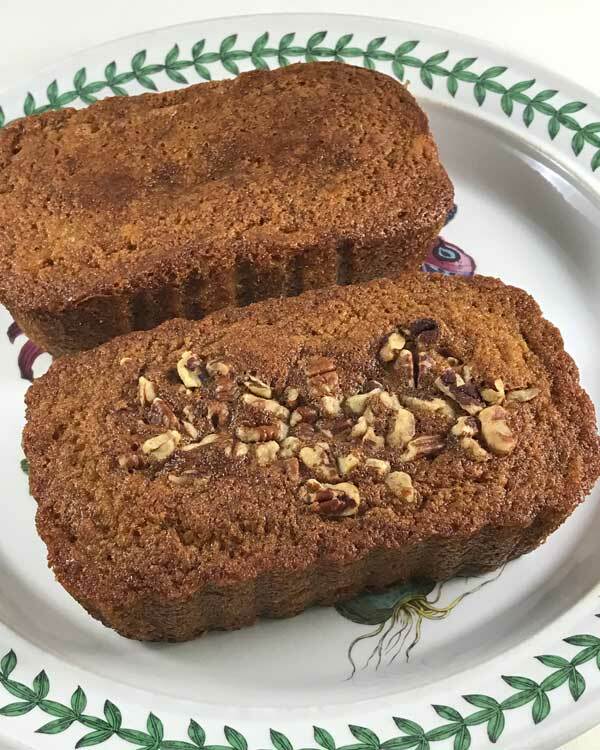 With 2 cups of sugar and 2 cups of flour, its proportions are a little different than other banana bread recipes and it is fairly sweet. It also doesn’t rise as high or dome, yet it still has a uniform and not-too-crumbly texture, so it slices neatly. And finally, it doesn’t call for vanilla, so the flavor you get is a a pretty clean mix of banana and nutmeg. 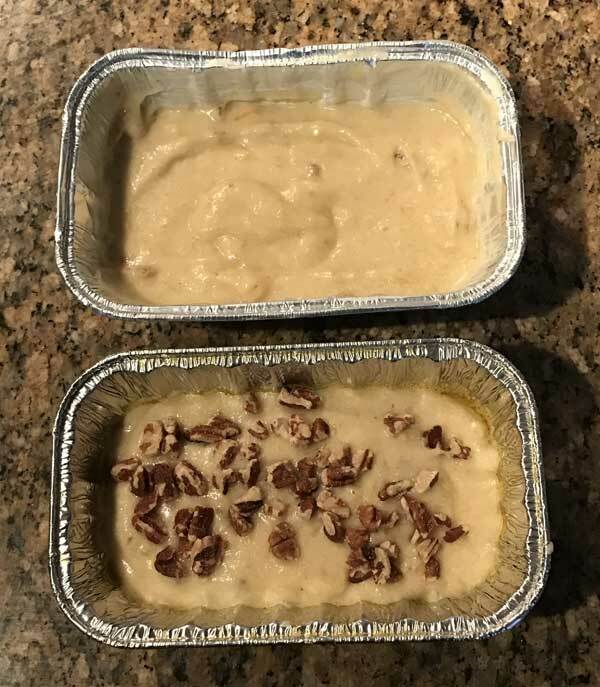 You can make it as one large banana bread, or if you have about 6 mini loaf pans, you can make a bunch and share with friends. I’d make this one again for a tea or an event where it’s going to be served alongside other sweets. For breakfast, I’d probably choose a less sweet recipe. But this one’s definitely good and worth a try! 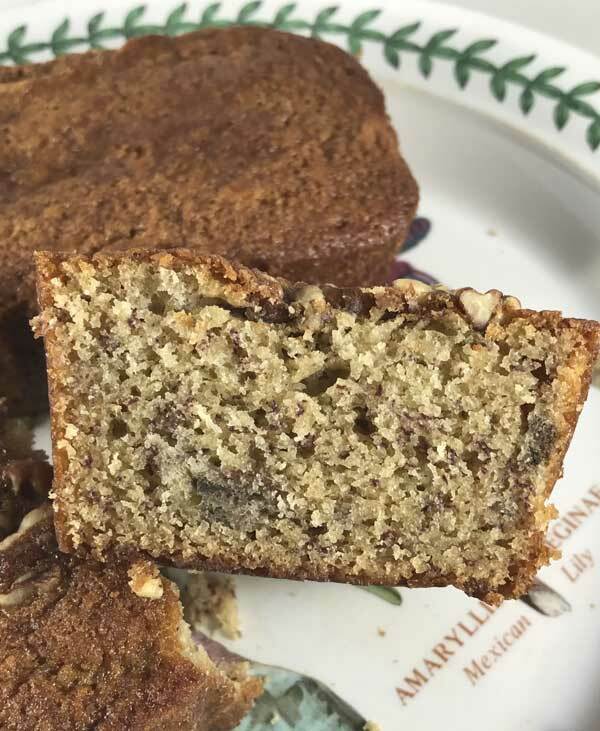 This banana bread recipe is adapted by one from French chef, Dominique Ansel. The original version calls for a very large loaf pan, but you can use any size so long as you adjust the bake time. Grease a 10x5x3 1/2 inch loaf pan (see note regarding other sizes). In one bowl, whisk together the sugar, flour, baking soda, baking powder, nutmeg and salt. In a separate bowl, whisk the eggs, then stir in the mashed bananas. Pour the wet ingredients over the dry ingredients and mix together until just combined. Stir in the melted butter until fully incorporated. Pour the batter into prepared pan (or pans) and bake until a skewer or cake tester inserted in the center comes out clean, about 1 hour and 10 minutes. I used 6 disposable loaf pans that measured 5 2/3 x 3 5/16 x 1 7/8 and 2 cups capacity each. Bake time was about 40 minutes. Everything D-A touches turns to pastry gold in my book. Therefore, this must be a great banana bread! The DKA stands for Dominique’s Kouign Amann. They are amazing. I agree, that they are better than cronuts. I stood in line for about an hour once when I was in NYC just to get a cronut. It was very good, but the DKA was divine! And, no need to stand in that long line…..
Sue. maybe K is his middle initial? I used to have a favorite banana bread and now Ive tried so many many I don’t know what my favorite is anymore. No doubt I’d like this.